How does it work? Pretty simple really. Your customers start registering online! 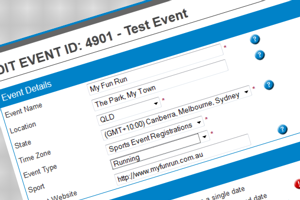 It really is that easy - you could be accepting registrations minutes from now! Registrations for participation, sports events and more. Registrations for short courses, officials courses, training days and more. Membership registrations for clubs and associations. Professional looking, easy to use streamlined conference registrations. Our software is easy to use and requires no installation as it operates in the cloud. Register Now securely processes credit card transactions on your behalf - no need to worry about merchant accounts or credit card fees. With nearly 10 years experience, our system is trusted by over one thousand clients in excess of 500,000 registrations per year. 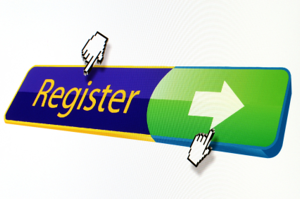 Register Now offers the most cost effective and risk free pricing on the market – only $1.10 per registration! View our full pricing schedule – you’ll be surprised how cheap it is. Add to this, you can try out our service for free, there are no lock-in contracts and our fees are by far the most cost effective on the market . . . . . Why look any further? Still not convinced and want to know more?